These links are to sites outside of the Box Elder County family of websites. We are not responsible for the content of these sites. For historical imagery and aerial photographs, visit the Utah Geological Survey's Aerial Imagery Collection. They also have an Interactive Geologic Map where you can view or download geologic rock formation and hazards maps in your area. Find the GPS Location of a property by Legal description Utah location calculator. To learn more about GIS in general visit GIS.com. Houses GIS data and maps for the State. Find Survey Marks and Datasheets with the National Geodetic Survey's Interactive Map. 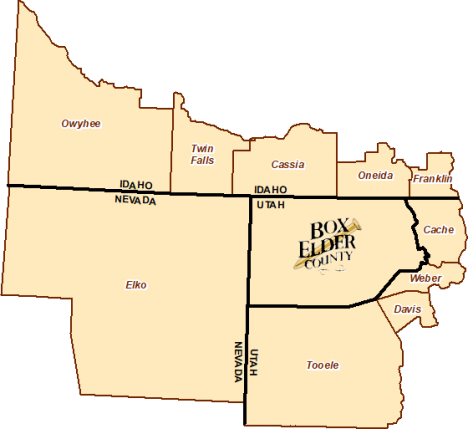 Box Elder County uses ESRI software. ESRI's free ArcExplorer GIS data viewer. ESRI's free ArcReader published map files (PMF) reader. need Adobe's free Adobe Reader software.